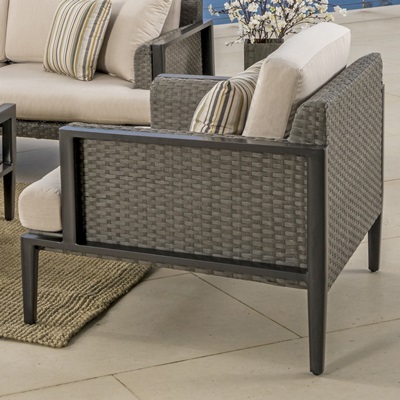 Add style, function and warmth to your outdoor seating sets with an addition of the Vistano Stone Top Coffee Fire Table. 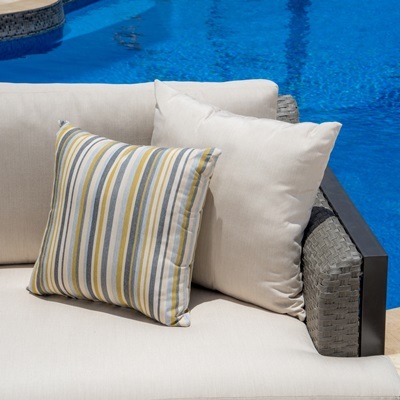 This elegant addition to any backyard setting will grace your space with designer style and quality. Vistano Stone Top fire table features an elegant wind shield is designed with safety and comfort in mind, so you can gather around with friends and family to illuminate your evenings. 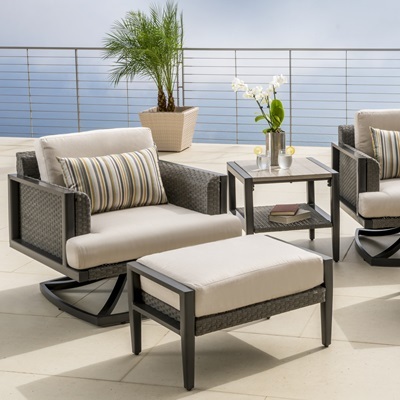 Designed to match the Vistano Collection by RST Brands, the best value in patio furniture. Propane tank drawer allows for easy access (recommended use with 20 lb liquid propane tank). Side valve access allows you to easily control the flame during use, and includes an easy push button starter. 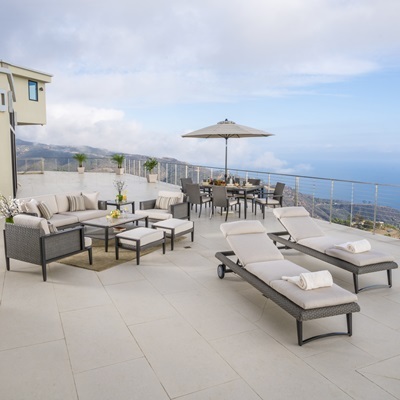 Stone top allows plenty of room for refreshments, drinks and more. Materials are engineered to withstand the elements. Table Top Thickness: 2 in.